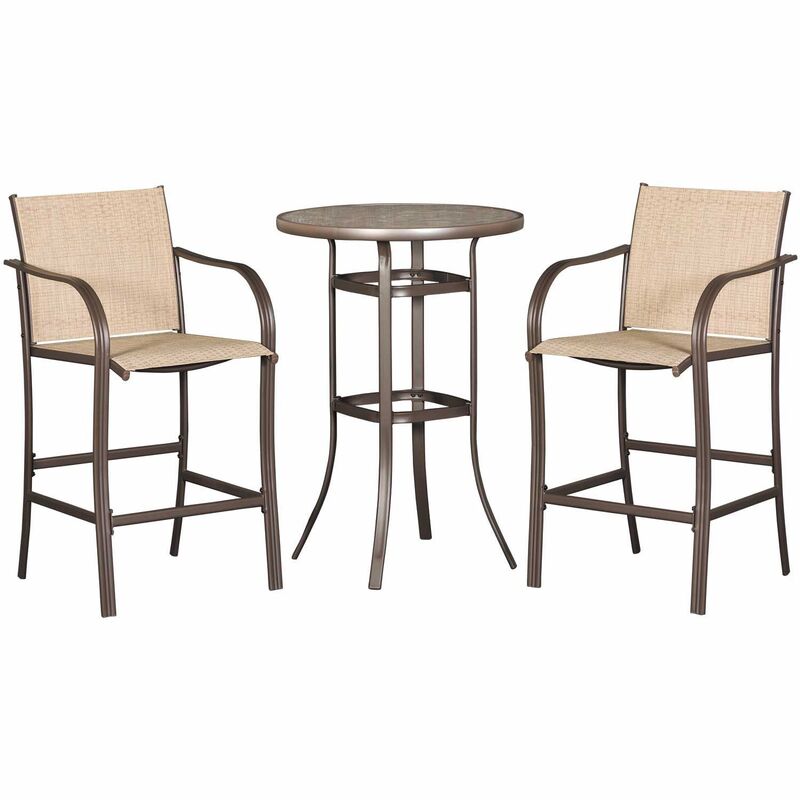 Enjoy casual elegance with the Weston Patio 3 Piece Bistro Set by Four Seasons. 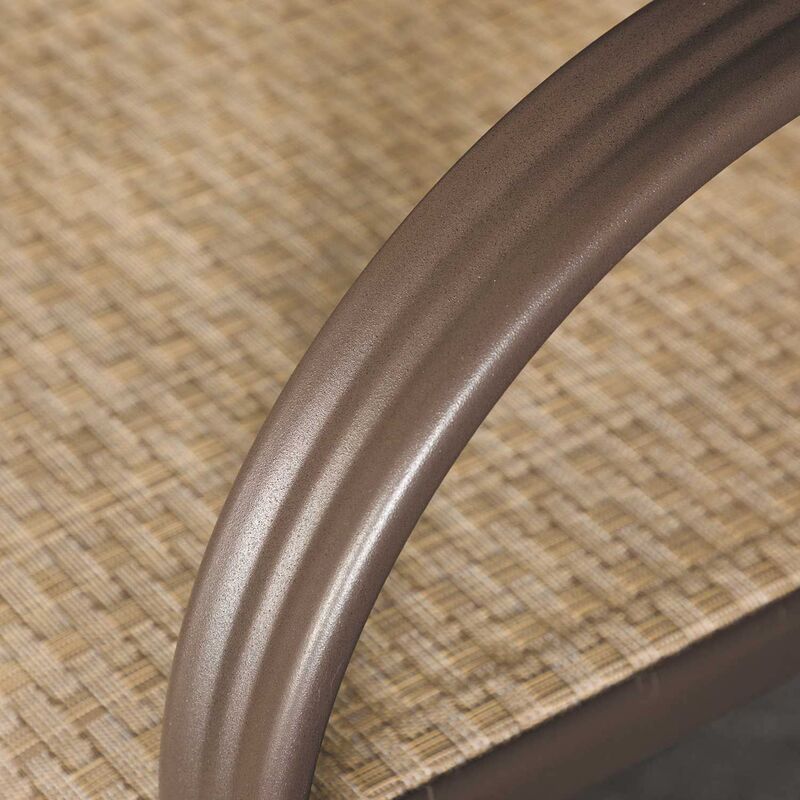 This bar height patio set has a simple style enhanced by the tan woven fabric on the sling chairs, the brown faux marble table top, and the bronze powder coat finish on the steel frames. 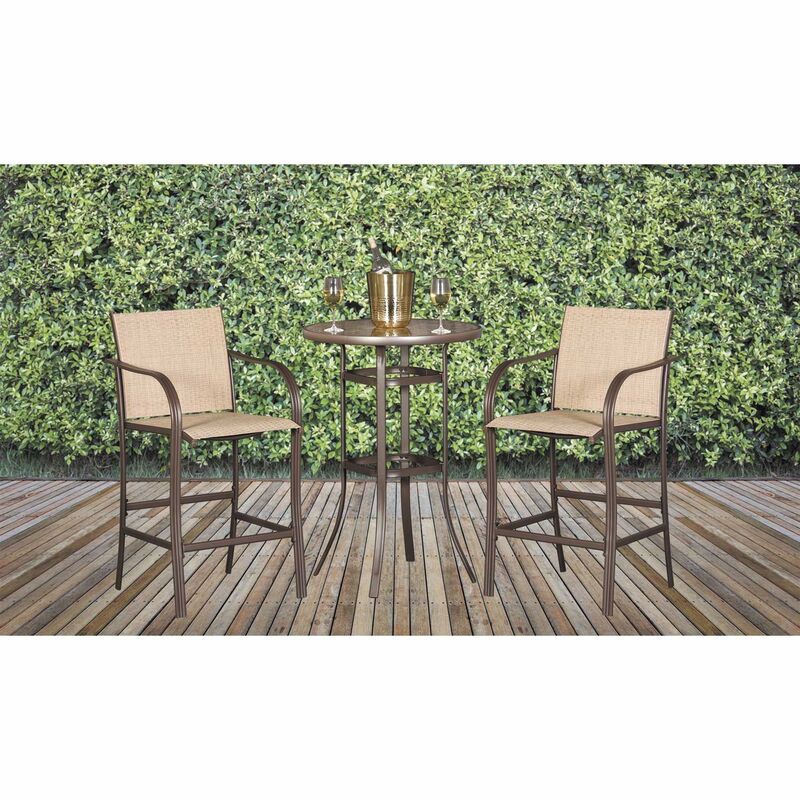 Enjoy casual elegance with the Weston Patio 3 Piece Bistro Set by Four Seasons. 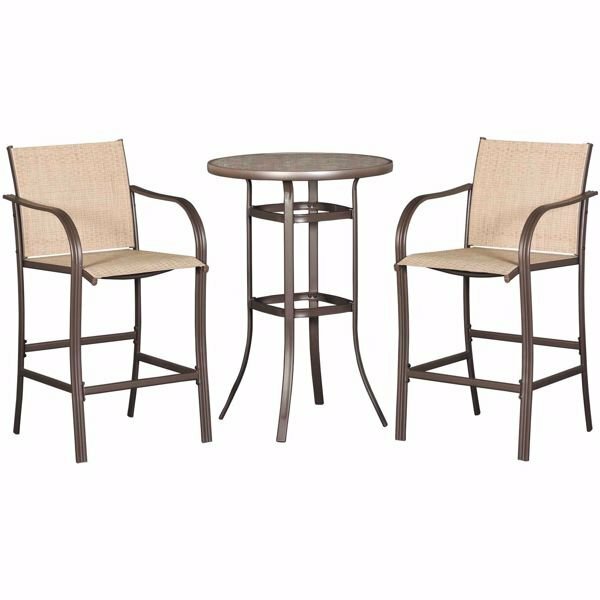 Weston 3 Piece Bar Bistro Patio Set by Four Seasons. Set includes one 27"Dia X 39"H round table and 2 pub height sling barstools. 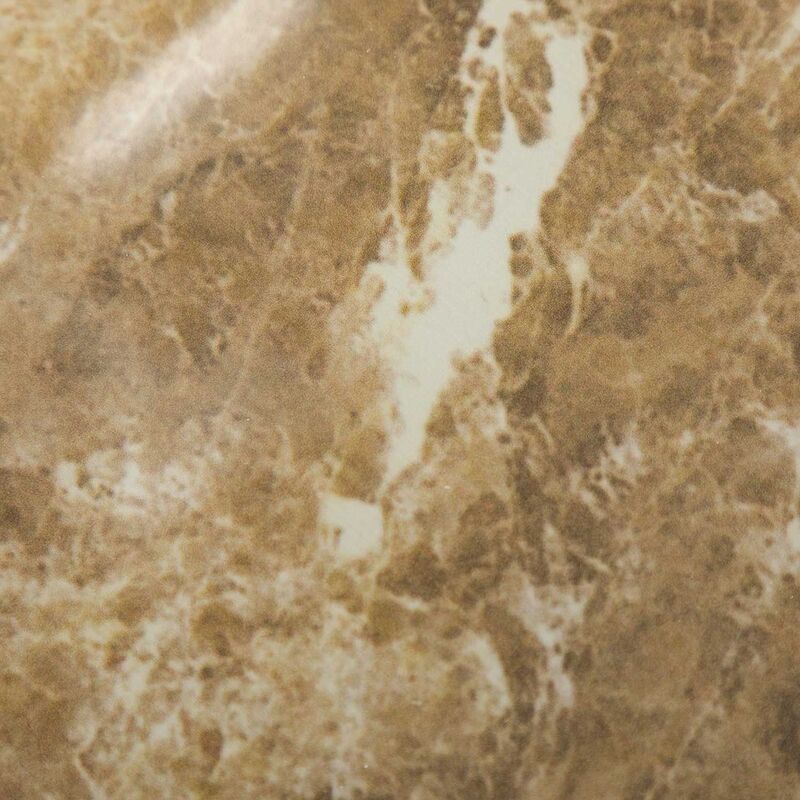 5mm tempered glass top table. Sold as 3 piece set only. Comes in 1 carton.